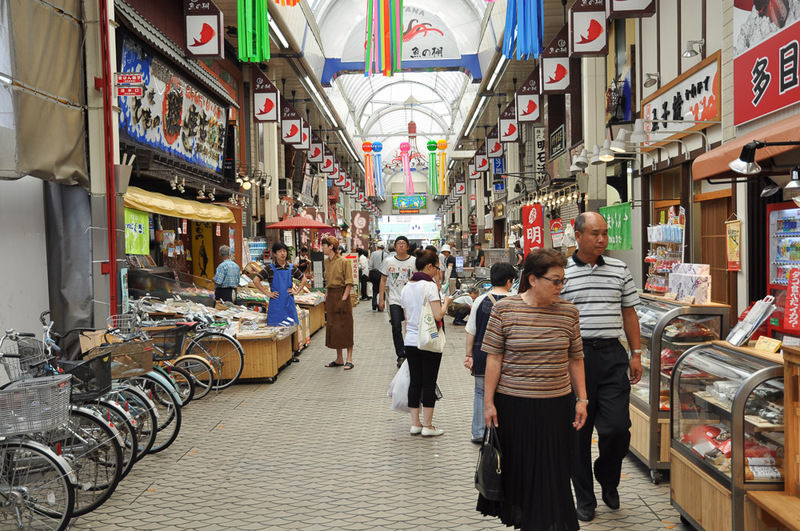 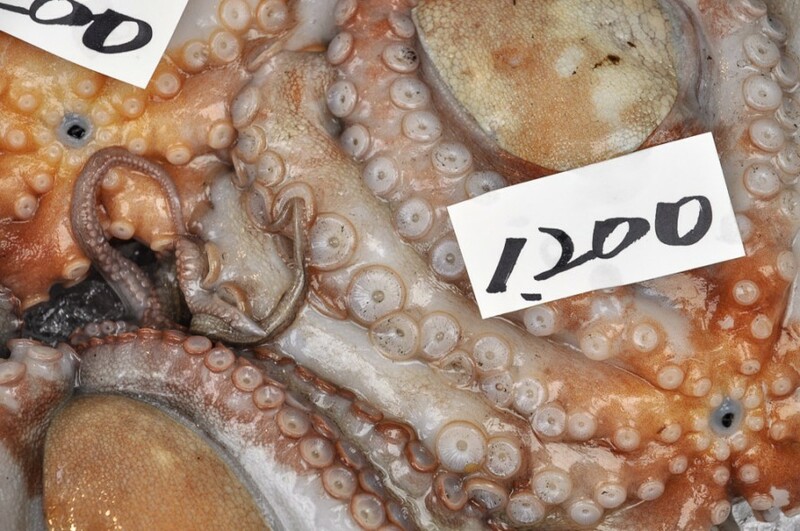 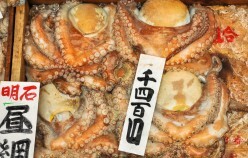 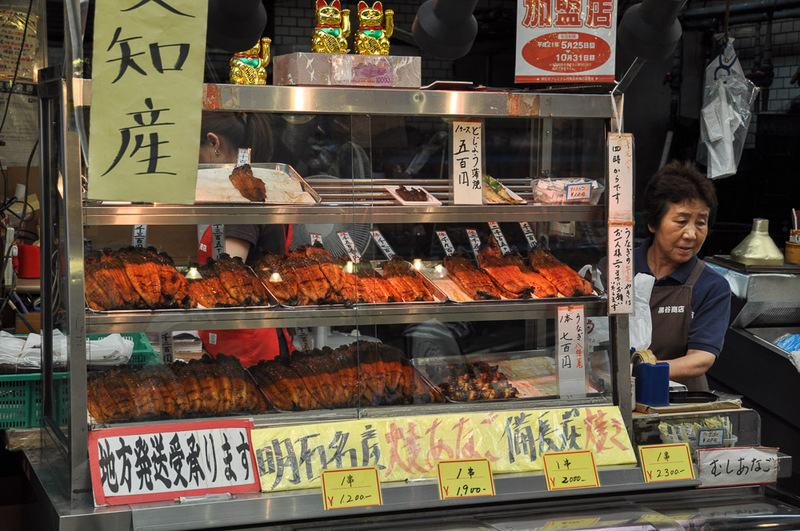 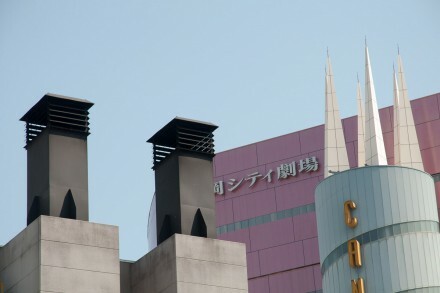 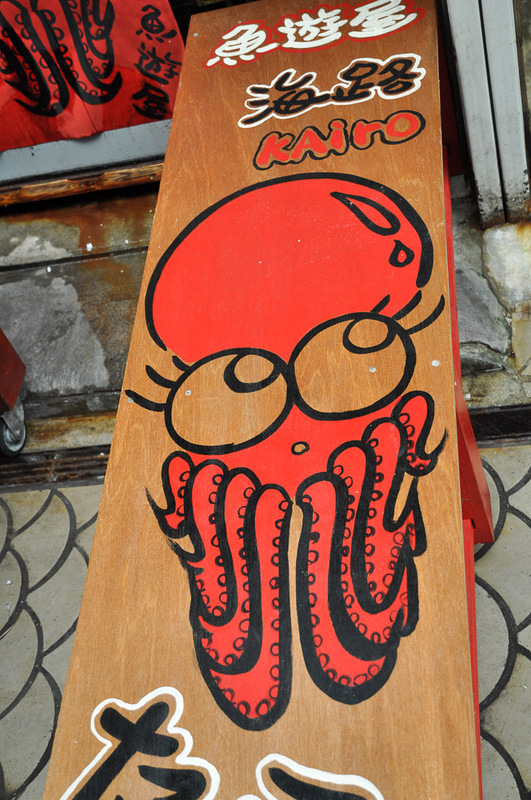 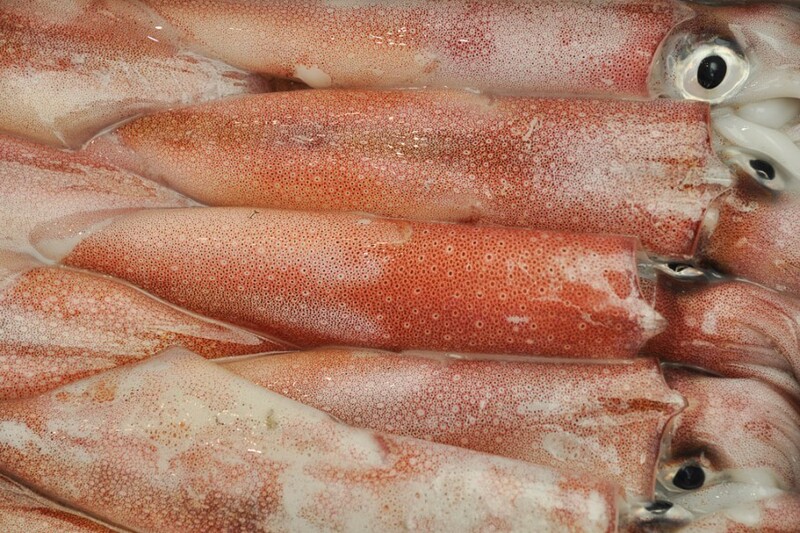 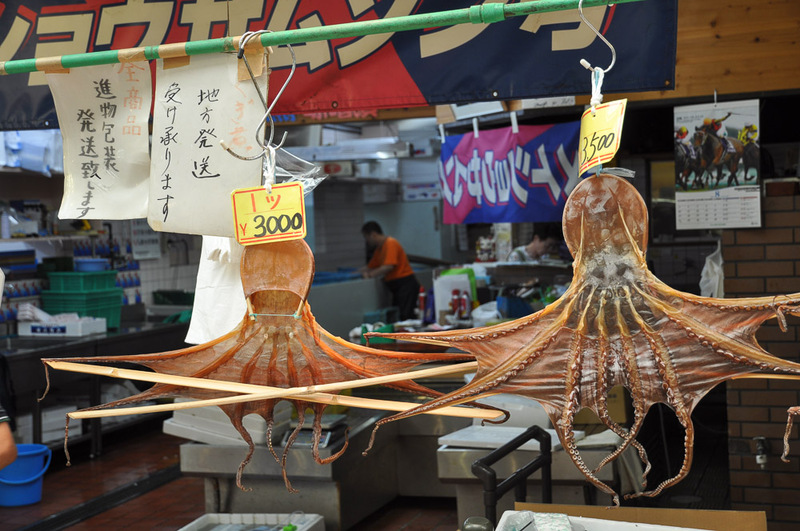 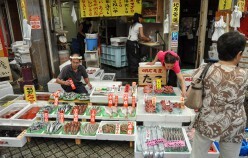 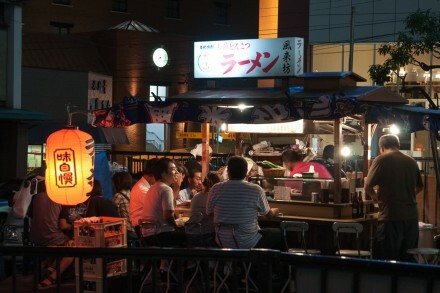 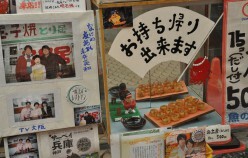 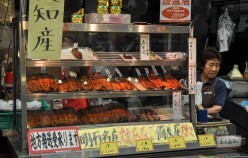 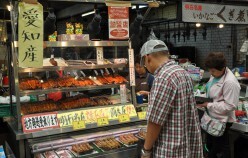 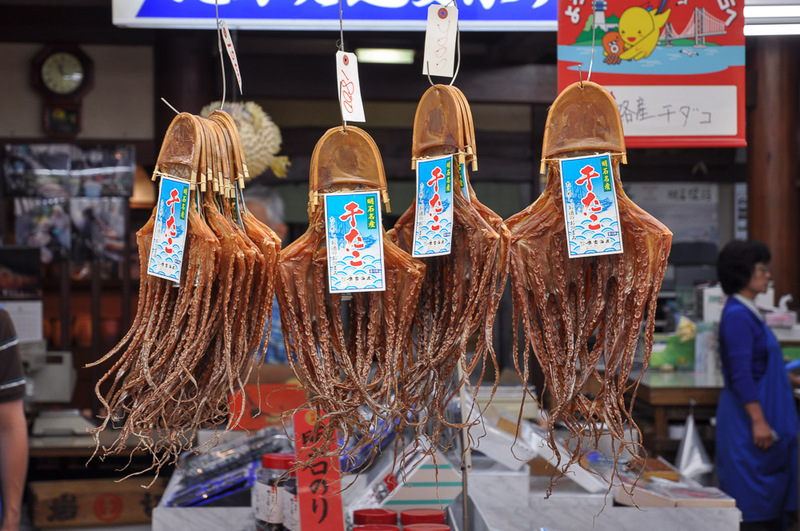 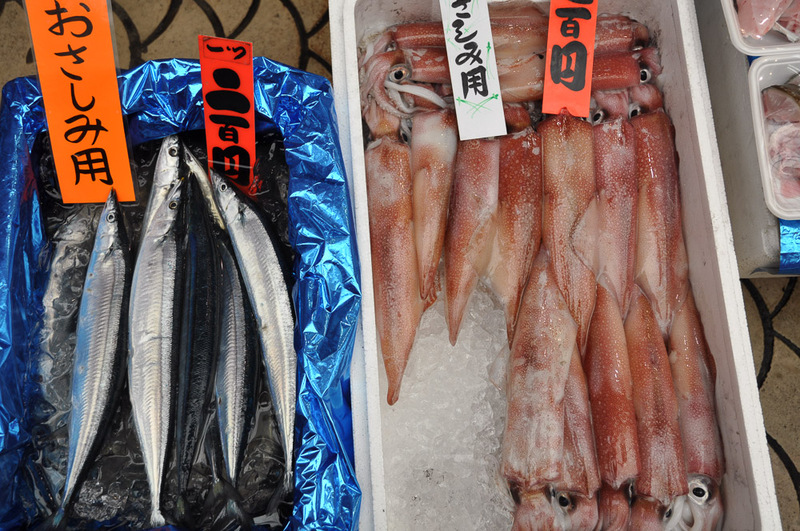 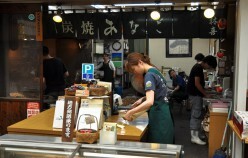 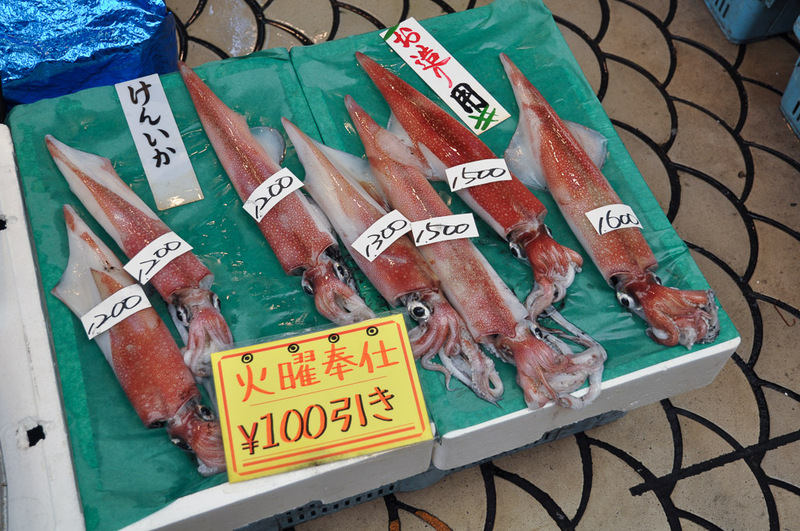 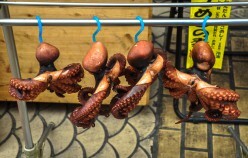 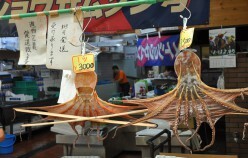 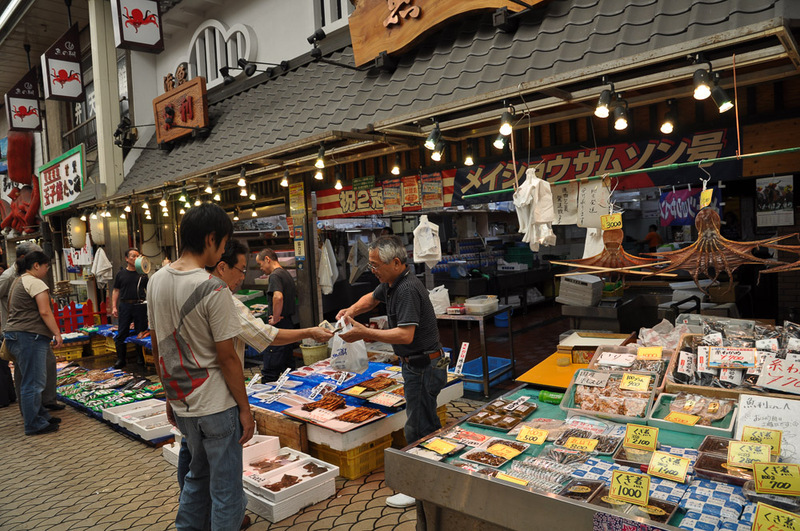 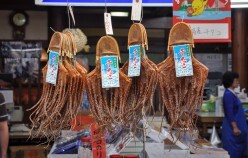 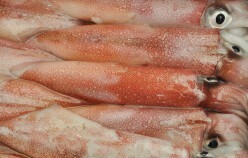 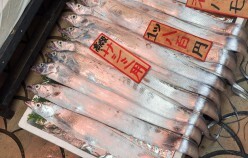 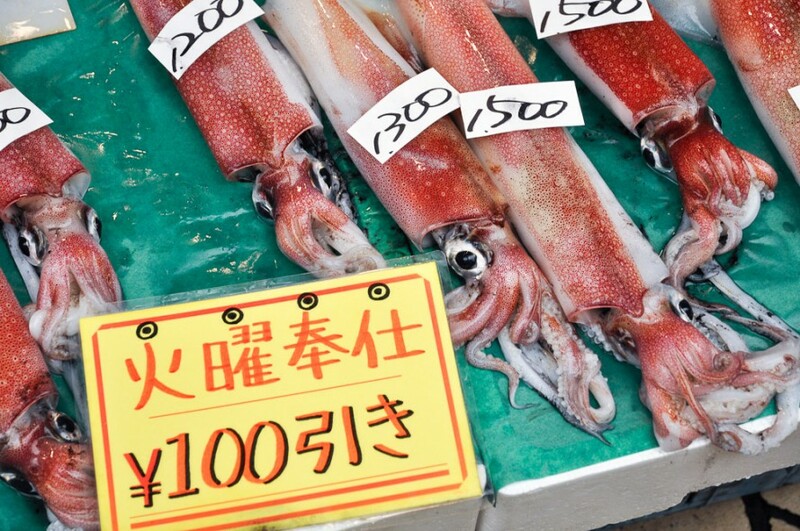 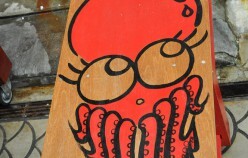 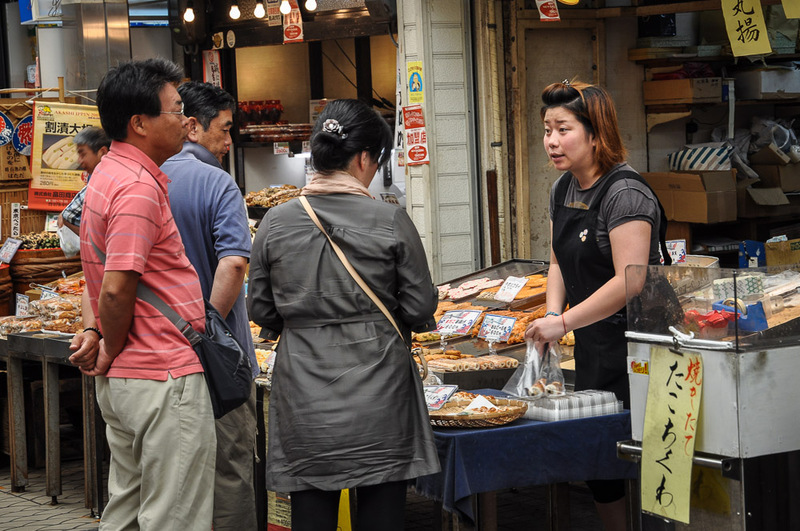 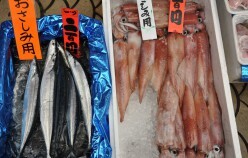 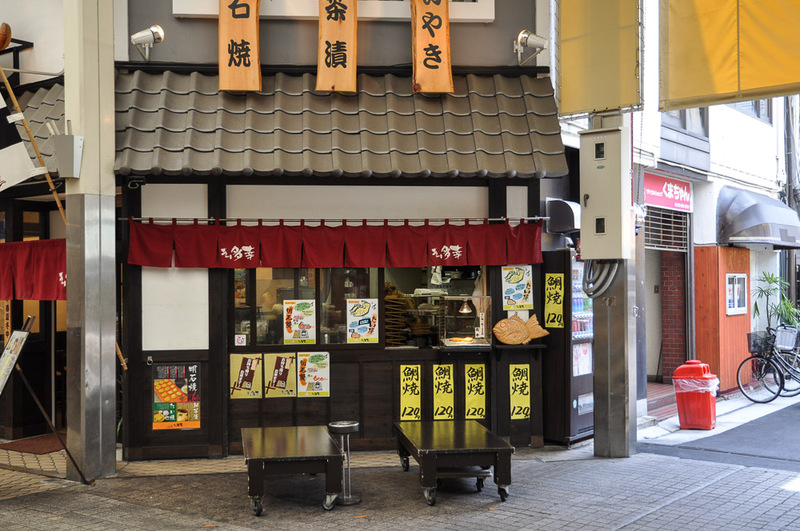 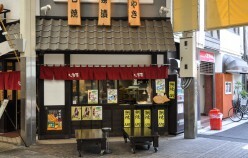 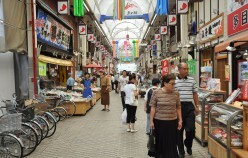 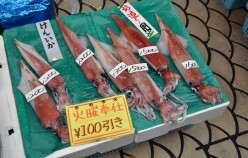 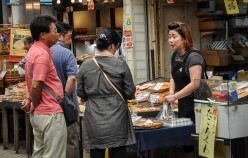 Akashi is a Port Town and its fresh fish is famous, really famous – in particular the octopus and squid. 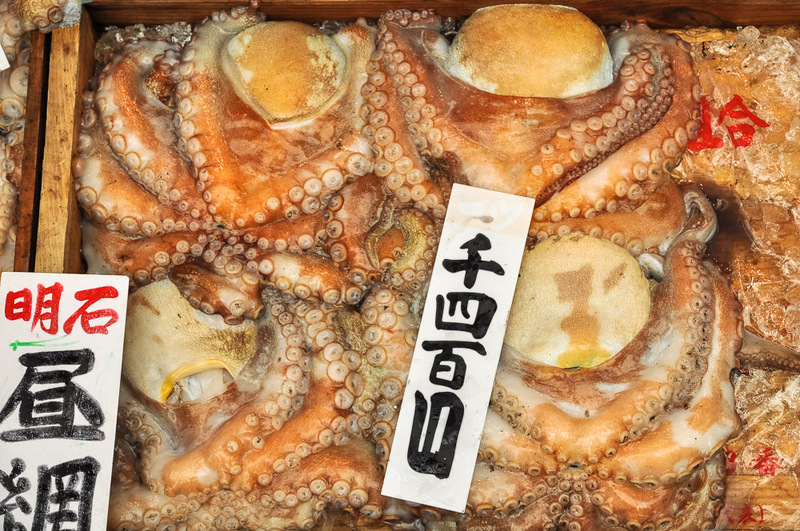 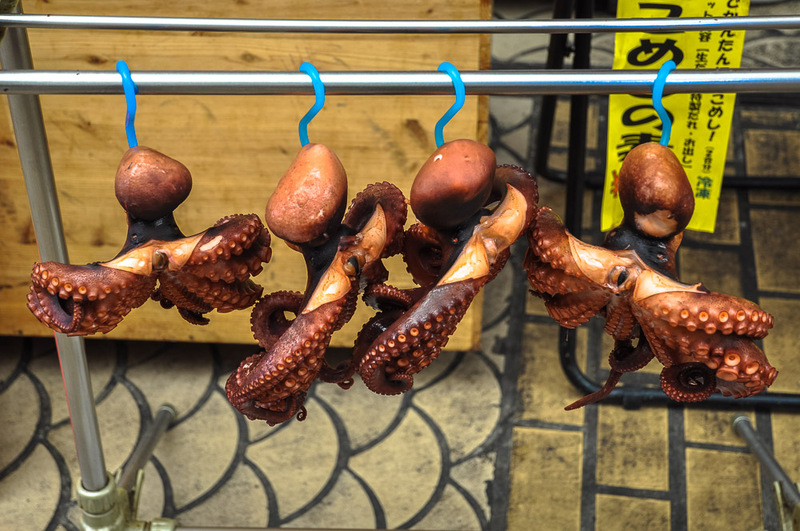 In fact, wandering around town you encounter octopus in all varieties, including an octopus boat service and as sweets in the form of lollies, which promise to cure headaches and restore energy. 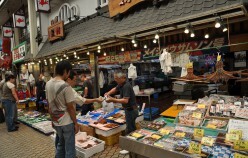 Uontana (short for Uo no Tana (fish selves) is a roofed shopping street close to the sea, where local fishermen display and sell the fish that is caught in the Akashi Strait. 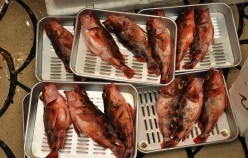 Indeed the fish is amazing! 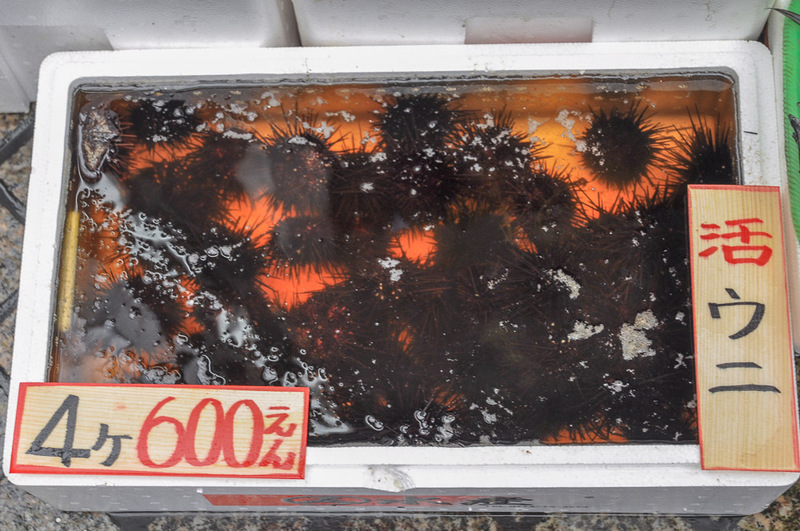 The unlikeliness factor is shockingly high. 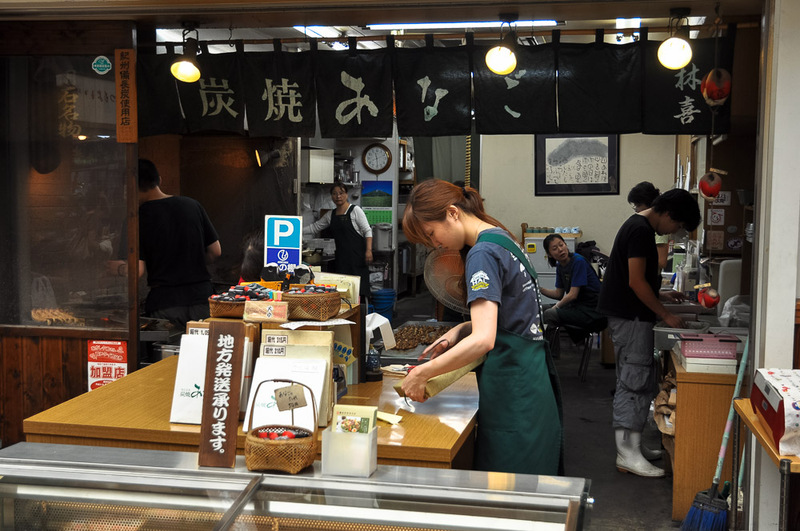 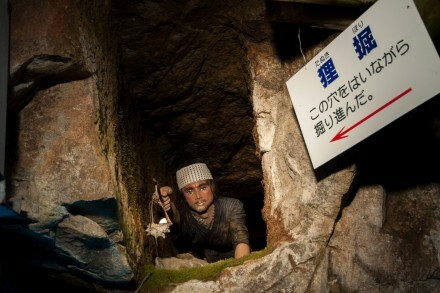 And Uontana has been here for more than 400 years! 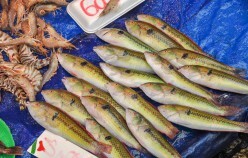 A variety of fish and sea food on offer. 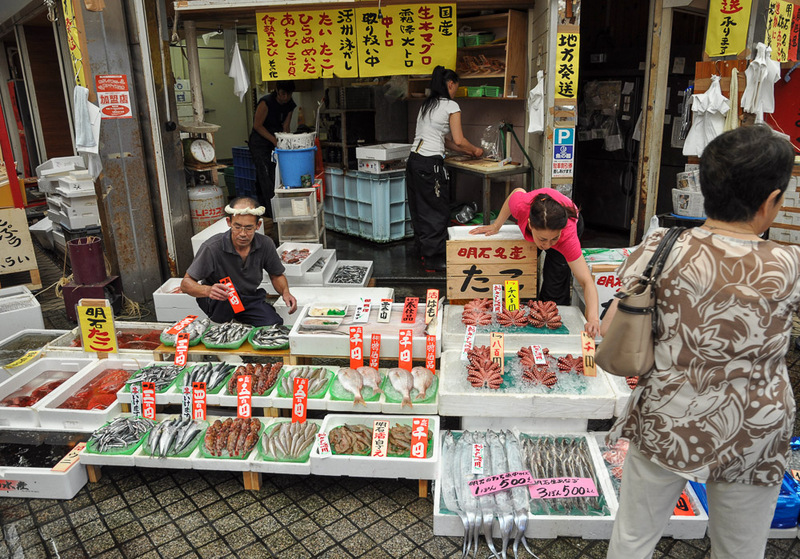 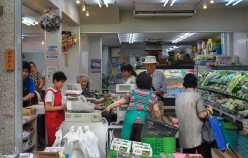 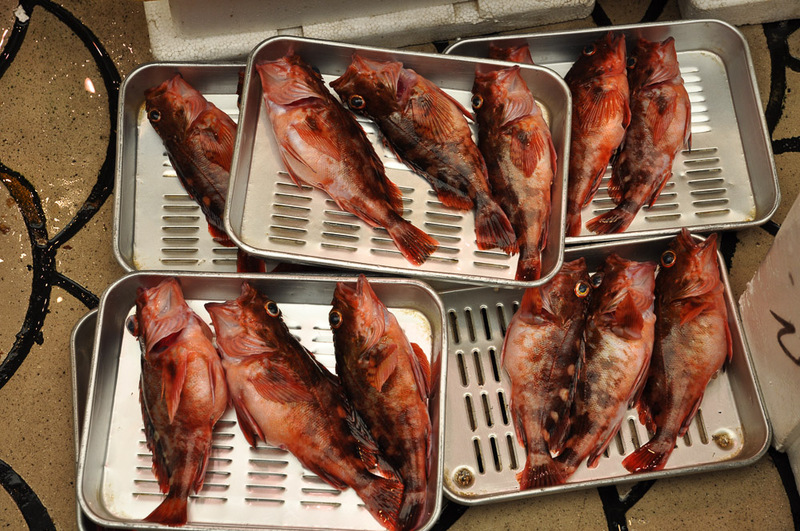 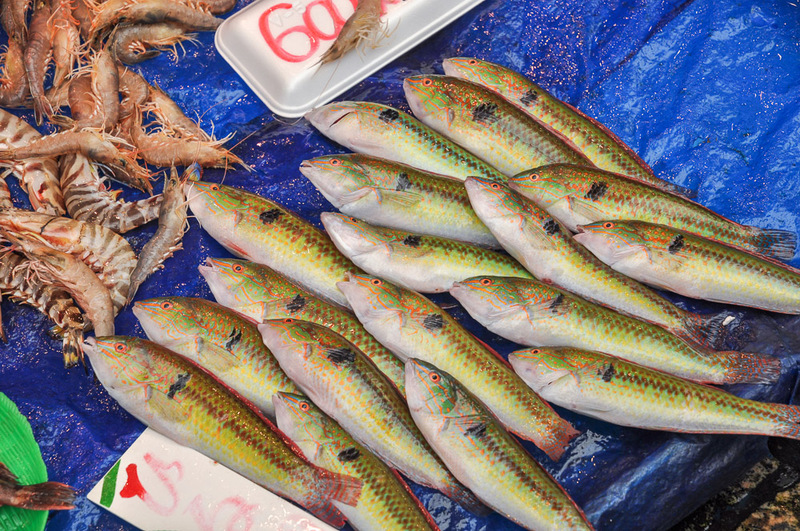 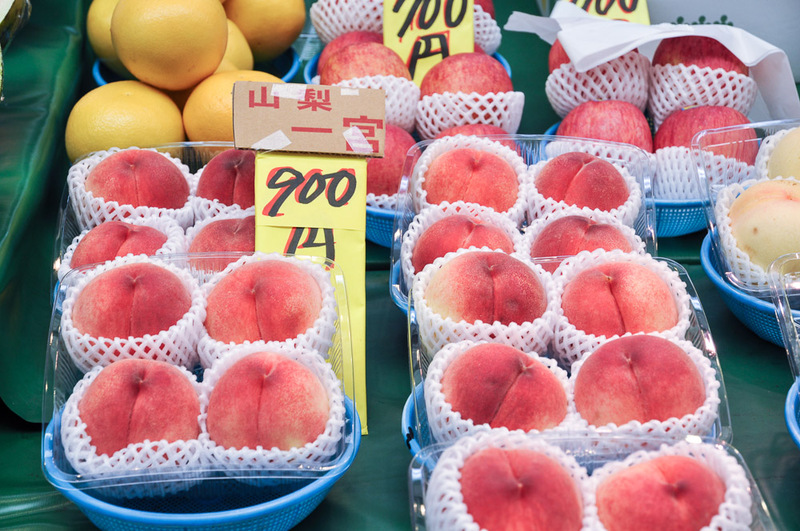 Uontana is a shopping street with a long history specialising in selling fish and sea food. 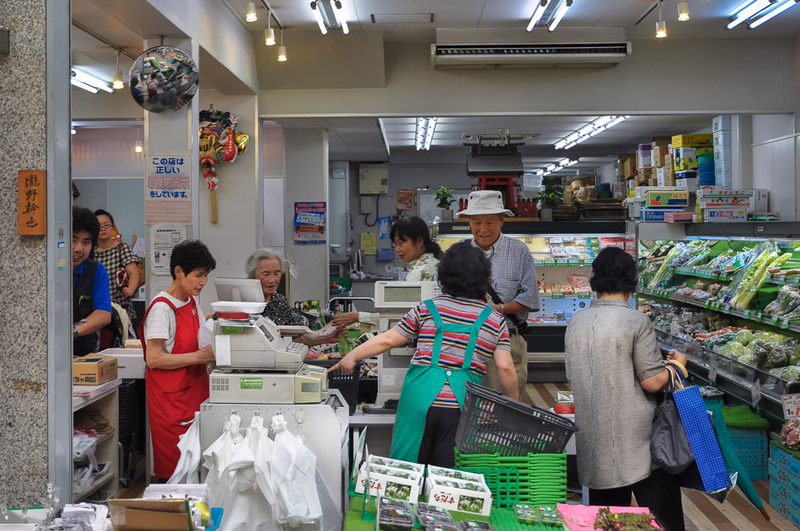 Apart from the rather appealing goods on offer the nice thing about this street is to casually witness the interaction between the shop owners and the customers. 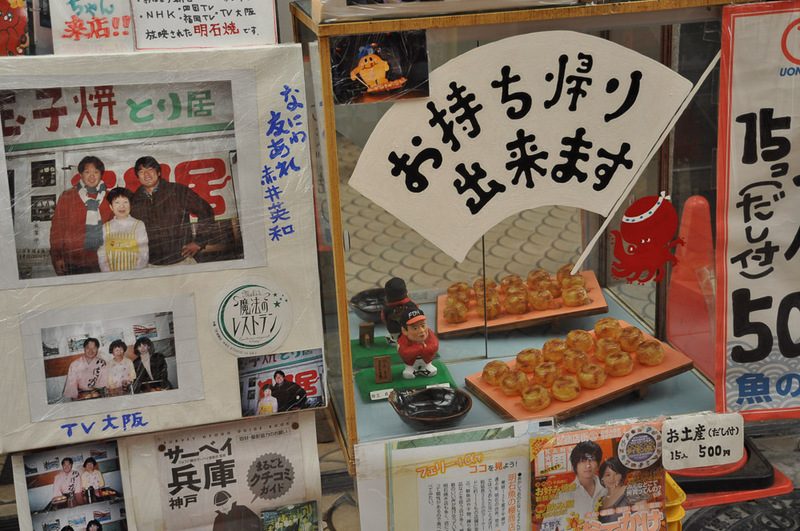 May be, because it is a sight that reminded me of other times ..., there was the idea of a shop owner being proud of what he was selling and the customer being delighted about what was on offer.